There are many different criminal convictions that may arise as a result of misdemeanors or felonies committed while operating a vehicle. One of the serious vehicular crimes is a hit and run, which can be either a misdemeanor or felony offense. Colloquially, a hit and run has been characterized as one where the driver of a vehicle gets into an accident with another vehicle and then drives away from the scene without stopping to follow normal accident procedures. 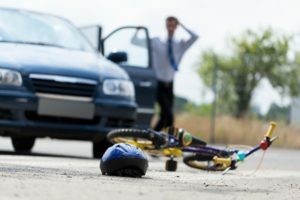 In California, a hit and run under Vehicle Code 20002 VC is similar to as previously described, but also has some specific elements that must be proven by the prosecution. First, it is important to identify that Vehicle Code 20002 VC can apply to anyone involved with the accident. It does not matter whether the failing party was the one who caused the accident or not; they will get charged with a hit and run. For a misdemeanor hit and run, a prosecutor must prove that the accused was driving the vehicle in question, a vehicle damaged the property (vehicle, house, fence, etc.) of another individual, the accused must have been aware that damage occurred (or should have occurred), but then intentionally failed to either stop the vehicle/identify themselves/provide license and registration. Important to note that the damage in a misdemeanor hit and run occurs to property and not to persons. On the other hand, a felony hit and run does cause damage to a person. Similar to a misdemeanor, there was a failure to perform a necessary action following an accident, but that accident did not just result in damage to property (however large of a sum), instead injury or death must have occurred. It should have been within a reasonable understanding of the accused to know the accident would have resulted in the injury or death prior to them leaving the accident scene. If the accused is convicted of the felony hit and run, he or she will face a state prison sentence and the payment of fines. However, if a misdemeanor occurs, the penalties decrease to a possible one-year jail sentence and lighter fines.